Marking the calendar date in different countries is not only the language in which you write the name of the month, but also accepted in the country format - that is, the order in which you specify the day, month and year, as well as the characters used as delimiters between them. In addition, there are different established forms of writing dates to be used in official documents, literature, personal correspondence, etc. in a specific country or group of countries. Specify the month first, then day, then year, if you write the calendar date should be on the English language in the format used in North America (USA and Canada). The month separate from day space and before the number of the year a comma. For example, the date October 4, 2011 in this format should be listed as October 4, 2011. Point after the number of years, generally not assigned. 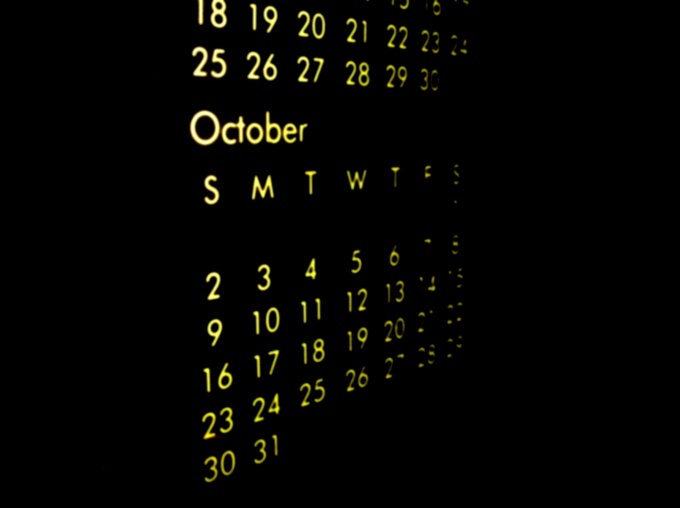 You can specify the ordinal numbers end in the number of the day: October 4th, 2011. Prepositions and the definite article are placed only in official documents. You can shorten the month name to the first three letters (for example, to write January instead of Jan). With the exception of September, which is usually abbreviated to four letters in Sept and August, which is referred to as reduction Sep, and Ag. Use the sequence day - month - year when specifying dates in English in the classic British version adopted in Europe. The remaining rules do not differ from those described in the previous step a North American standard. Example: 4th October, 2011 or Oct 4, 2011. Don't forget about the correct spelling of the endings of ordinal numbers (numbers ending in unit, end in st (e.g. - 1st, 41st), f corresponds to the end nd (2nd, 42nd), three - rd (3rd, 43rd), and all the rest - th (4th, 44th). Separate the numeric month, day, and year with dots or oblique strokes (slashes straight) when writing dates in a numeric format. Example: 10.04.2011 or 10/04/2011. There is a difference between North American and European formats - the same date the European version will look like this: on 4.10.2011 or 4/11/2011.